Welcome . . . and no judgment here! Thanks so much for visiting our store. It’s been a long time in the making and a lot of hard work has gone into developing our website as well as what we think is a great line of products. In order to enhance your shopping experience, in the days and weeks to come I will be posting additional photos and videos to the current images. My disclaimer? Please, no judgment here! You see, the photos will be of ME and I’m certainly NO fashion model! But at least you’ll see what the items look like on. Real and honest. In addition, you may find some photos to be “not so” high quality as others. Well here’s the thing; I’m not a professional photographer and I’m no website developer so you’re stuck with my flaws. But please feel free to email me or call me with any requests or comments if you find it difficult to view a product, place an order or have a question and I will be all over it. Lastly, thanks to all of you who have helped to encourage and support my designs and my vision for Glitter Fan. Women who take the time to compliment other women is a beautiful thing and we need more of it! 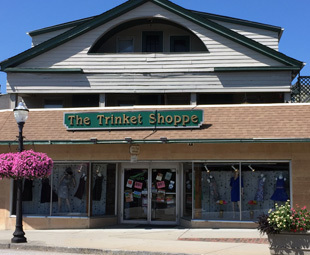 Come see our display at The Trinket Shoppe in Danielson CT. We have items that can match many of the beautiful gowns and dresses in their store. Items can be custom made upon request should you need a special color to match that special dress. We will make you even more a “one of a kind” with your own “one of a kind”! Please note that not all items on the website are on display in the store and currently only available on the website.